No its not fix at all, every time i save when im driving a vehicles, it takes about half an hour and can sometimes giltch my game, how does that make sense, its clearly not a coincidence. No it not fix, every time i save when im driving a vehicles, its takes abouts half an hour and can sometime glitch my game, how much sens does that make its clearly not a coincidence. Good work. Really pleased with this. 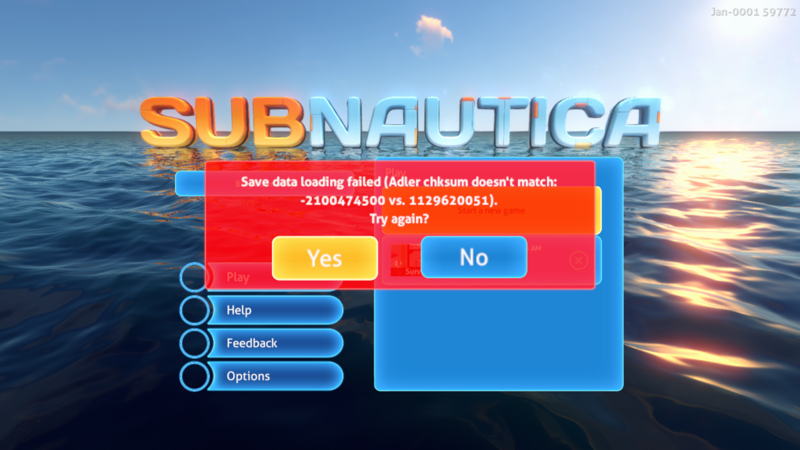 Just a slight issue and for everyone's info, it only seems to save when I'm in the lifepod. Lost three hours game play today when I saved in my seabase only to find that this had not overwritten and only my previous save was available. Just tried this quickly again now, definitely have to be in the lifepod for save to write ?*&^:?!! Who knows why??? thank you very much devs. haven't. played. since bug hit but now having fun again. G'day Devs, it's fabulous that I was able to finally save again. Ever so grateful. Alas, with the arrival of the Xbox one x, I now am unable to sync my current save (2 day18hrs worth),to it. I really would prefer not to have to start again. I'm paying the old "One" forward to my young nephew, who, at six years of age, rates this game worthy of pretending "live action" with matress and aqua blanket, whilst I try figure this out. Thanks peace out, back to the fishes. Sounds more like a Microsoft problem, (save data, which is stored in MS Live account, not syncing to new platform) but it's better to report it here just in case, who knows what it actually is. On December 26, I bought the subnautica game for my son's new xbox one s.
We have been playing many hours until December 31, taxing the games with different periodicity. 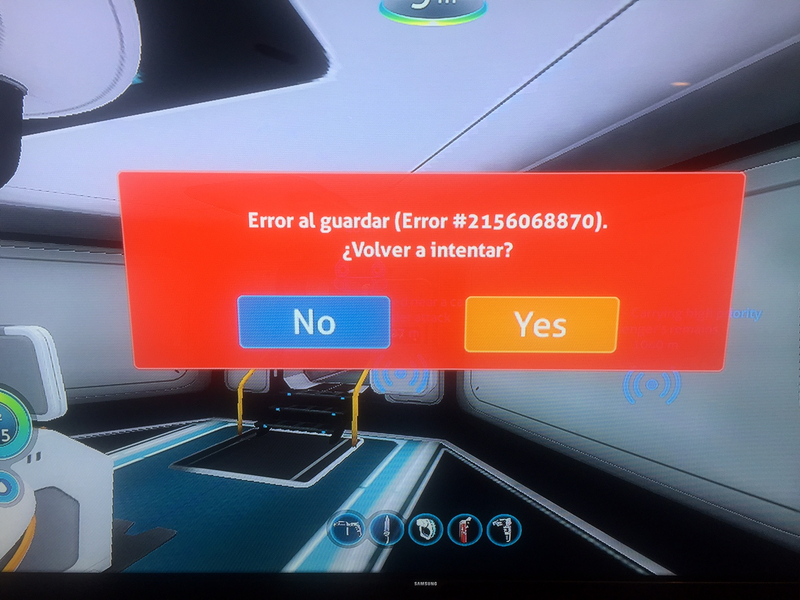 At the beginning we had no problems, then an error message started to appear but insisting that it was saved, now we can not save the games played. I read the forum with the problem and it is assumed that the installed version solved it but in my case it is not like that. I have even tried to change the time of the xbox to put it in zone -x and nothing. Where are you saving the games? on the XBox internal hard drive, or an external drive / USB? If it's external, what kind do you have, and is it USB 2.0 or USB 3.0? Is it almost out of disk space? I did not configure anything in the game or the xbox to save the games. Could it be that I'm trying to save it in the cloud and fail? Shouldn't be. Can you post a picture of the error message? There is no solution to the error I have reported? It's a little disappointing to buy a game and not be able to play it. I would appreciate any help to continue playing. I'm receiving a load save file error. My Xbox just updated this morning so maybe that has something to do with it?